I know I’m way late with this post but October was a crazy month with a ton of ups and downs. I was going to skip this Birchbox post and start new with November, but this box had too many great things in it. To simply gloss over them as if they never existed would be blasphemy I say. Yes, I’m a little dramatic but it’s all for the love of beauty. October’s goodies were chosen by the brand goop. 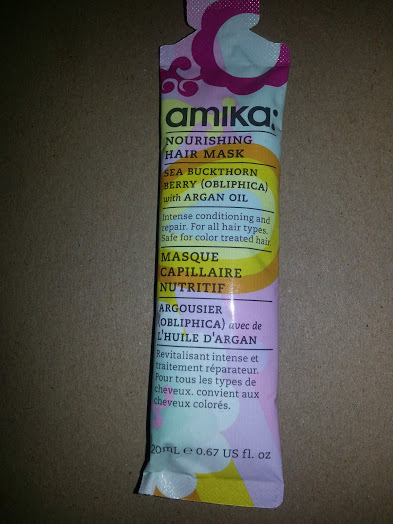 Amika Obliphica Nourishing Hair Mask: I normally hate hair samples because there is never enough product to cover my hair, it’s very thick and I have a lot! So not the case with Amika, in fact I had more than enough to coat each strand, so big props for that. This decadent mask is packed with omega acids, vitamin C and helps repair split ends. I left it on for 20 min before washing it out and my hair felt like silk! Blowdrying and styling was a breeze too. The 60 ml mask is only $12, I totally recommend it. 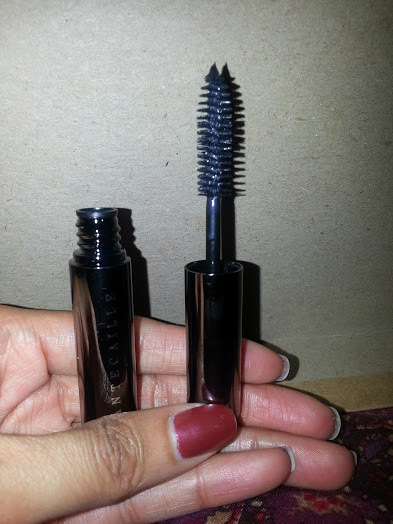 Chantecaille Faux Cils Mascara: If you read my blog regularly, you know I’m obsessed with mascara. So I was thrilled to get a sample of this mascara that is $42 retail! The first thing I noticed was the luxe packaging. Instead of the plastic packaging I’m used to, this mascara comes in a metal casing that has a good, sturdy weight to it. It feels expensive, as it should for $42! This mascara delivers, I got both volume and length that lasted all day. I’m torn on this product, I love it but I don’t know if I have $42 worth of love. I mean, my lashes look amazing, but are the results that much better than my usual mascara? I’ve included pics below to get your opinion. 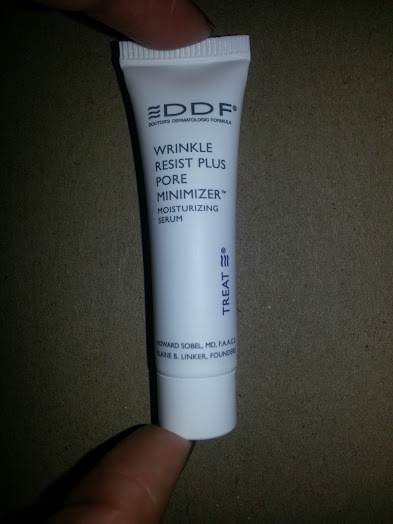 DDF Wrinkle Resist Plus Pore Minimizer: This moisturizing serum is lush and thick, it fills in pores and wrinkles for instantly smooth skin. Peptides and vitamins provide long-term anti-aging benefits. This little tube of magic makes my skin feel so good and my mineral makeup stays in place all day. Love! 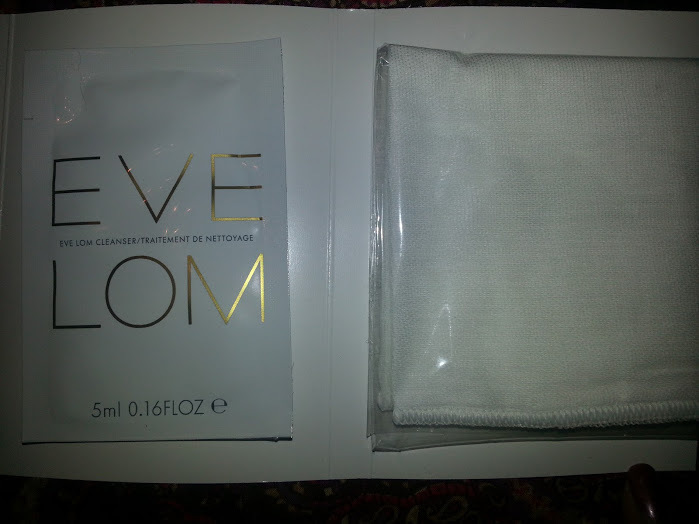 Eve Lom Cleanser and Muslin Cloth: This balm-like cleanser purifies and tones the skin. The finely woven muslin cloth is supposed to exfoliate without irritation. I like the idea of this product, my skin felt clean and soft afterward but nothing extraordinary. The reusable cloth is nice for traveling but I’m not impressed enough to order it. You can buy your own exfoliating cloth at Target and use a cleanser of your choice for similar results. 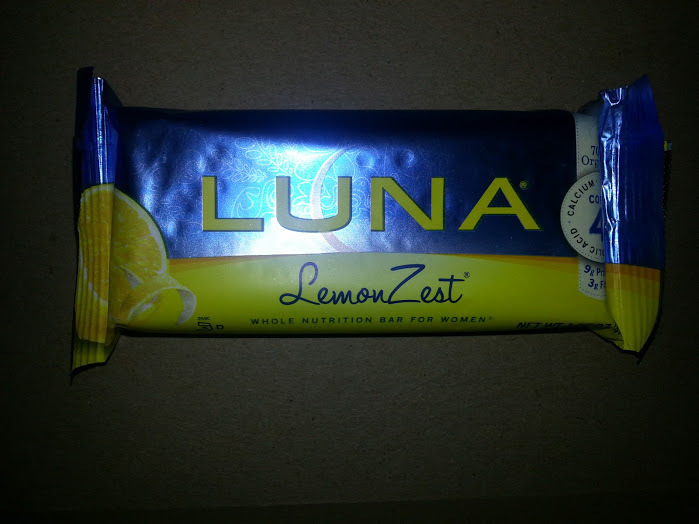 My Lifestyle Extra this month was a LemonZest bar by Luna. It was a tasty little treat that came in handy at work when I got the munchies, which is pretty much all of the time! Until next time, which will be soon seeing as it’s already November!